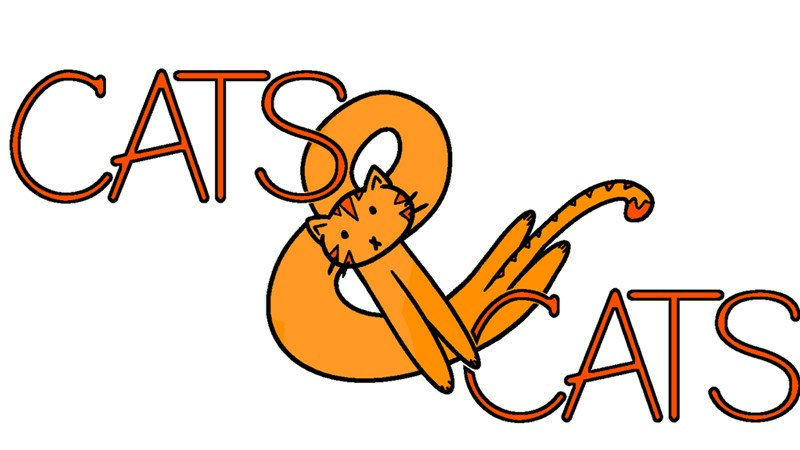 CATS & CATS is an experimental and (mostly) unplayable tabletop role-playing game experience. The degree of playability depends on the players' extreme commitment to the premise of the game. It attempts to be a supermegacompletely cutdownuntilthereisnothingleft traditional style RPG, wrapped in a (metaphorical) fuzzy blanket of cat. Why? Because I have yet to find a ttrpg that was cat enough for me and now I want to share my creation with yooouuuuuu~~! Cat cat cat cat cat cat cat cat cat! This game is designed for 0-12 players and takes approximately 0-8 hours to play. CATS & CATS is a very smol game; the rule book and character sheet fit on the front and back of one sheet of paper. Breaking from standard traditional d20 RPG mechanics, this game utilizes only 1c6. The game will be released in two graphic styles. The first is more trad, with clean and precise computer generated lines. The other is a more "zine" style, which is to say photocopies of my hand-drawn version of the trad style mentioned above. Don't worry, you don't have to choose; you will get both versions. You're welcome? The campaign is more than 4x funded (being fair, they weren't asking for a lot), with still 11 days left to go.